From customer service to team building, every business should commit to quality using name tags. 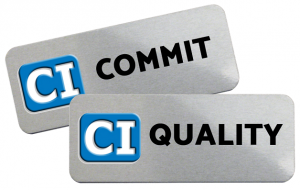 What does commit to quality mean? COMMIT: to carry into action deliberately; pledge or bind (a person or an organization) to a certain course or policy. Why would a company need to commit to quality? In most cases, businesses who do not have a commitment to quality fail. Yes, a company who doesn’t maintain quality in their service or goods can succeed. However, it is far more likely for a business to succeed when they focus and commit to quality. The message to learn from this statement is that no matter the service or product, consistent quality must be your primary business focus. And with that knowledge, you can make sure that your business maintains quality throughout your production and practices. Constancy of purpose means that quality decisions are not situational. End of month quality is the same as the beginning of the month. It means that the long term benefit of the organization is not sacrificed to hit quarterly targets. It means having your eye on the competition, whether it is in your industry or coming from elsewhere, with plans to stay ahead. When a company commits to quality, they must do so from day one. Once a specific quality standard is set, it must be upheld at all production stages and in all departments. And, communicating this standard of quality to your customers is an absolute must. Make sure that your customers understand that when you commit to quality that it isn’t just for your company, it’s for them! How do name tags help with committing to quality? To commit to quality is easier than you might think. For a lot of professions, appearance is a crucial factor in this quality. So, maintaining your commitment to quality is easy with a uniform and the proper name tag. Whether you choose a daily business attire like a suit and tie or a matching polo shirt for each of your employees, don’t forget that name tag. Whether your job is in the food service industry or you are a CEO of a major corporation, showing professionalism by wearing a name tag is sure to make your job a bit easier. By attaching this simple item to your uniform or daily attire, you will stand out from all of your competitors. And, they make corporate branding a breeze by identifying employees at any business even easier. From branding to color matching, name tags, like uniforms, help to symbolize your quality. Creating a positive influence with your brand means guaranteeing that all of the services and products of your business are consistent. Employees and customers know when that consistency is not present. So, make sure to choose name tags that reflect your brand’s commitment to quality. And once this is accomplished, showing that you commit to quality is easy. Company name tags show you care about the quality of your brand. 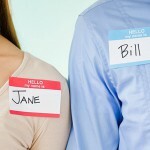 When employees wear name tags, they are more accountable for their actions as customers can comment on them by name. And branded name tags prove to customers that you pay attention to all details. So, when you commit to quality, it helps you gain public trust and grow your business. Coller Industries commits to quality with every name tag! For the past five years, Coller Industries has kept its error rate under 1%. In 2018, our overall error rate was 0.386%, which means that only 1 in about 260 orders contained an error. Considering that each product has up to 15 variables, we are proud of this accomplishment. It is thanks to our careful checking process and customer satisfaction guarantee that we can achieve this. And, because of our company procedures, each customer will walk away with a positive consumer experience and the identification products they need. Investing in the proper tools also shows that you want to commit to quality. From name tags to lanyards and even custom ribbons, help your business branding with logos, colors and so much more!